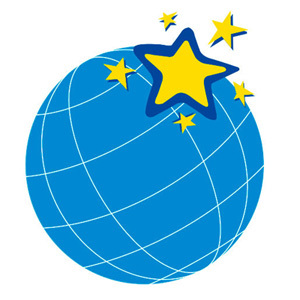 Star English Academy S.L. is a small, friendly school based on a business partnership between Caroline Nixon and Jim Kelly, both of whom actively participate in the running of the school and the teaching of students. There are two schools open, one in Murcia city centre and the other in El Palmar (a town some eight kilometres outside Murcia). Both schools are official Cambridge exam preparation centres. We pride ourselves on our excellent teaching standards and the personal attention we give to all of our pupils. We have a very high success rate in the Cambridge exams at all levels, and collaborate extensively with Cambridge University Press in the publication of their ELT materials. Caroline Nixon and Michael Tomlinson are Cambridge authors. They have written six titles in their photocopiable series Cambridge Copy Collection: Primary Activity Box, Primary Vocabulary Box, Primary Grammar Box, Primary Communication Box, Primary Pronunciation Box, and Primary Reading Box. They have also written the successful seven-level series for Young Learners, ‘Kid’s Box’, for Cambridge. Caroline and Michael give teacher-training talks all over the world. ‘Kid’s Box’ is the course book we use here at Star English with our young learners. We are looking for qualified, dynamic, inspired and inspiring teachers who can teach up to C1 level with confidence. A minimum of three years’ experience, especially with young children. Ideally, candidates should be able to understand spoken Spanish, and speak it sufficiently well to be able to communicate with parents. Candidates should enjoy using mime, song and dance in YL classes. We are also looking for someone who completely understands the importance of teamwork and is a good team player. Apart from James and Caroline, there are eleven other teachers, one of whom, Michael, has been working at the school for more than twenty-eight years. Lyndsay and Sarah are our Directors of Studies. Lyndsay has been at the school for eleven years and Sarah for four. Most of this year’s teachers are renewing their contracts for next year. The school caters for both group and one-to-one classes: for adults, and children from the age of five. The maximum number of students in any one class is ten, and all teaching materials are provided by the school. The bulk of our pupils are between six and eighteen years of age. The school does not open on Saturdays or Sundays, and all efforts will be made to ensure that each teacher has as ‘comfortable’ a timetable as possible. We teach 75-minute classes from 4.30 pm to 9.30 pm, from Monday to Friday. All classrooms are equipped with interactive whiteboards and the Kid’s Box, Cambridge KET, PET, FCE, CAE and CPE series all have their own IWB resources. The vacancy is to teach all ages and levels from five upwards in either of our schools in El Palmar and central Murcia, from 1st September 2019 to 30th June 2020, renewable by mutual agreement. The 34 hour contract offers a take-home salary of €1,400, after tax and National Insurance deductions have been made. The teaching, or contact hours, within this contract are 25 hours per week. There are two weeks’ paid holiday both at Christmas and at Easter. Spanish residency will be applied for immediately, which, in real terms, means that the teacher can open a bank account and sign documents such as the lease of a flat. Employees have access to State medical and welfare facilities, as would any other Spanish worker. Address: C/ Pintor Muñoz Barberán, 8 Bajo, 30120 El Palmar, Murcia.